The Double Decker originally came from Germany, but now the chief engineer and owner Mr. Liang has designed and produced it in China. The product has a good reputation in both China and around the world. The Double Decker is defined as a structure that is made out of two floors but the actual Double Decker is divided into two types. The double decker frame is also made from a modular system like traditional clear span structure. The length can be extended by 5m bay section without a limit and it is the same as the normal structures. The normal structures have many optional accessories to make it multi-functional. 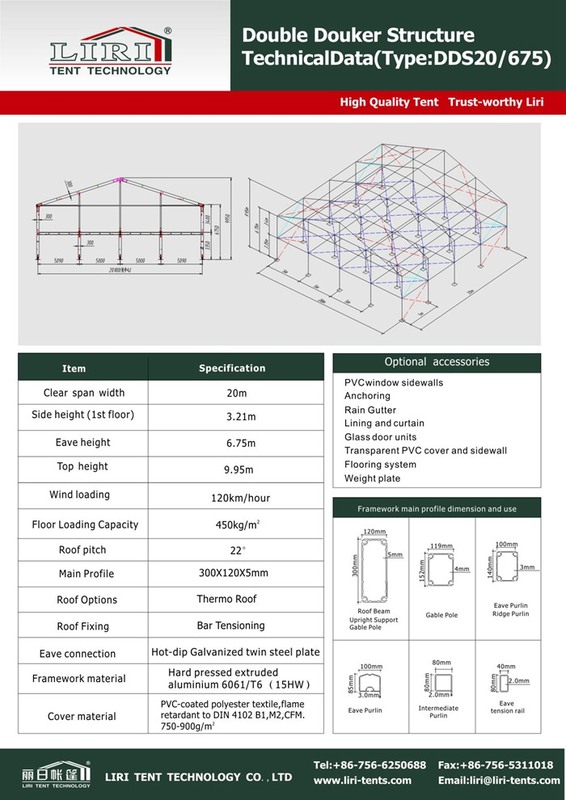 These options include clear roof or wall, stakes, weight plates, silk lining, glass/ABS hard wall and door system, sandwich panel wall, steel panel wall, sliding door, rolling shutter, flooring and guttering system, round ends, front view balcony, stairs,and one bay out entrance. 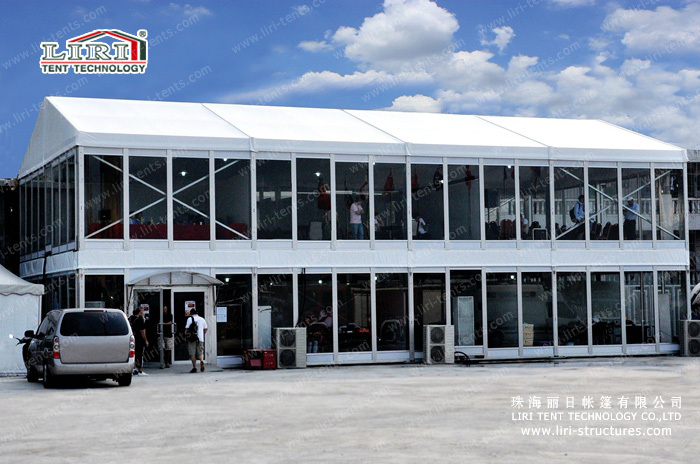 Normally, the double decker has no poles in the interior of the structure which makes it more spacious than other pole tent, frame tent, or steel tent designs. This structure helps it become a place of high class for events like golf, horse racing, car racing, and so on.